The training currently available from Lazarus Training comes at two levels: Basic and Intermediate. First Person on Scene Training Basic [FPOS B] is normally run over two days, First Person on Scene Training Intermediate [FPOS I] is often run over five days. Follow the links to find out more about each course. Lazarus Training is a medical training company specialising in #trainforreal first aid courses. Lazarus Training is an approved Pearson centre in its own right. We are approved to run both FPOS B and FPOS I courses, not a company re-using the approval of someone else. You can find out more about us as a company on our main website here. We firmly believe that you should #trainforreal, practicing your skills in situations as close to real as possible. The setting, equipment and “feel” of the scenarios should be correct. All our training is highly practical. Our courses include a high number of training scenarios and casualty simulation, so delegates should arrive prepared [and clothed] to get “their hands dirty”. You can find out a bit more about our training scenarios here, but not too much! 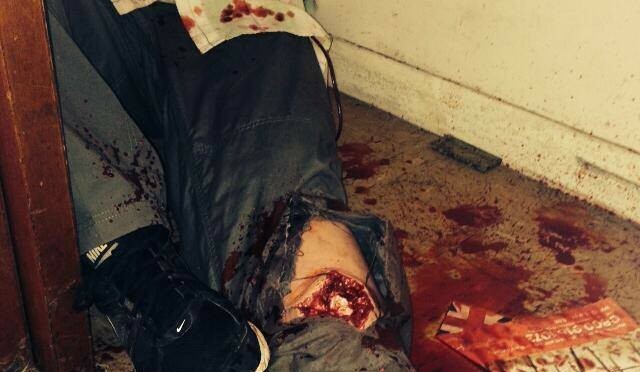 Our training scenarios include the use of casualty simulation [we have to warn you! ], noise and darkness. They are all designed to raise your medical skills towards a level of unconscious competence ie you can do things without thinking, leaving some brain capacity for other tasks such as situational awareness. To find out more about our First Person on Scene training explore the website, or contact us via our info@lazarustraining.co.uk or on 0800 242 5210.